Stuff I personally own or have tested in depth which I've found exceptional. An extremely useful piece of kit if you have a power hungry smartphone and you are away from the mains for the day. Such scenarios might include heavy use of GPS maps when out walking in the countryside. 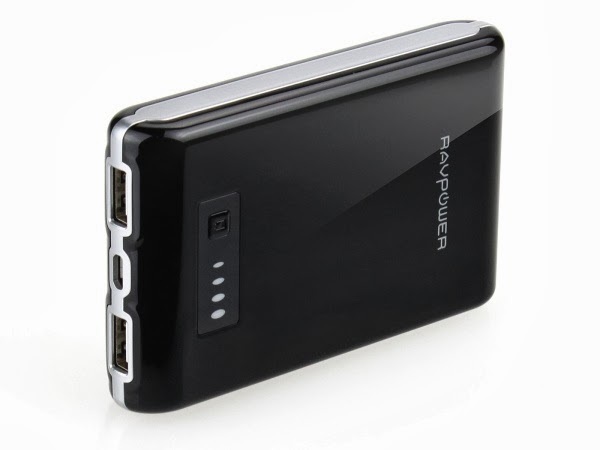 This device is surprisingly cheap at around £24 for what it is - an external power pack with twin USB outputs and 10.4Ah capacity (enough to charge most smartphones 2-3 times and even recharge a *Pad). More importantly when the device can actually deliver the goods. The 2A output took my Samsung Galaxy Note 3 from 42% to 75% in the 90 odd minutes I was on the train yesterday, whilst I was tethering my laptop through the phone and occasionally poking the phone. If you know Samsungs, you'll know that's quite an achievement as they are notoriously power hungry. This unit is not light - but it's not something you'd notice stuck in a backpack as a backup, or in your coat pocket if out and about. It's not limited to phones - it should charge anything that charges via USB - your milage may vary. To charge the unit, use any reasonably powerful charger with a micro-USB (not micro-USB3) plug. Your phone's own charger may serve. Recharge times are approximately overnight. This is a very personal subject and I suspect many of you won't agree with my views - but that's fine. The board pictured is actually pretty good. 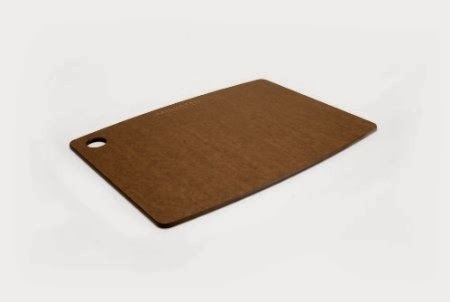 Not as soft as wood, but harder than plastic (doesn't score deeply) and a lot kinder to blades than glass boards. Best bit is, it is fully dishwasher safe - I've had mine for about a year and it is still good. It's the right compromise for my tastes. It's basically resin bonded paper as far as I can tell. Here's some background. Simple you'd think? What about if you want one with Min/Max readings (to check whether that last long power cut has put your freezer contents in jeapody? How about one that's easy to read from one place at eye level and maybe has an alarm? 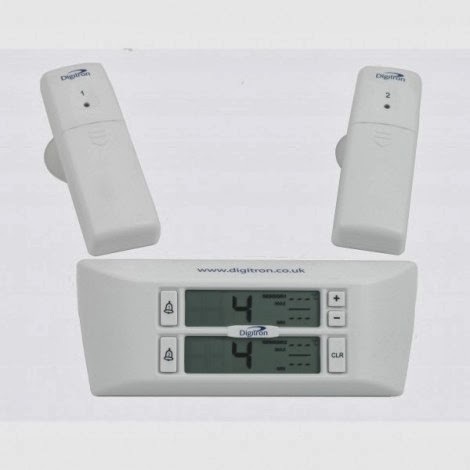 There are plenty of fridge/freezer thermometers available. However I've never been very impressed with any of them. This one is definitely well built compared to a lot of the standard offerings and being wireless, there are no wires with sensors to get caught up with the drawers in the freezer. Not really an essential item, but as my village is prone to random power cuts several times a year, some of which last for 6 hours or more, I value knowing how warm the fridge and freezer got. And the wireless sensors are handy when your fridge and freezer are not adjacent and allow the sensors to be placed at the back where opening the appliance for short times won't cause the sensor to warm up unreasonably quickly. Word to the wise - put lithium AAs into the freezer sensor - alkalines are not happy at -22C. Normal alkalines are fine in the fridge sensor and display unit though.